So... As everyone surely knows, this Friday is the start of the 2012 Olympics! 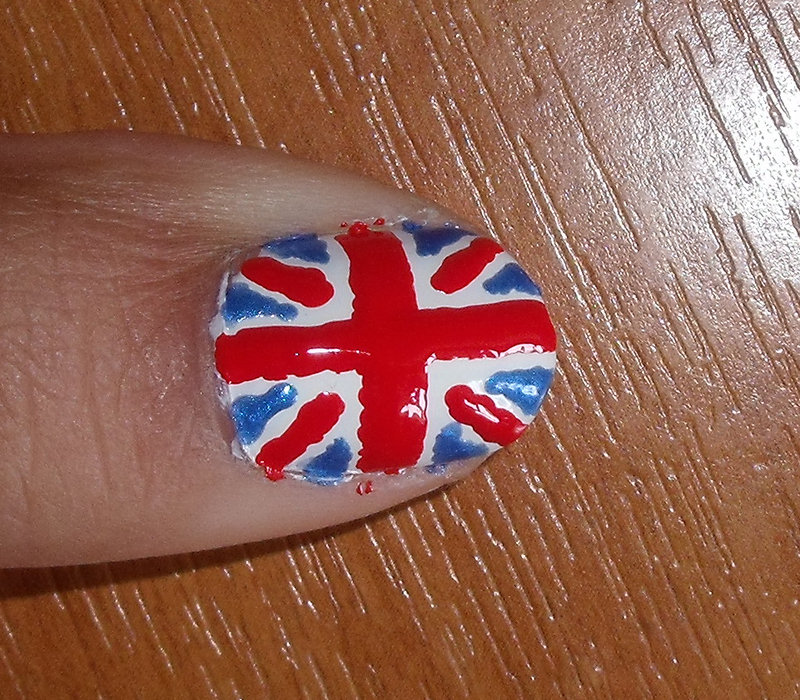 All eyes will be turned to the United Kingdom as the hosting country, and though our opening ceremony will most likely leave the world a little underwhelmed, it's the perfect occasion for some nail art! 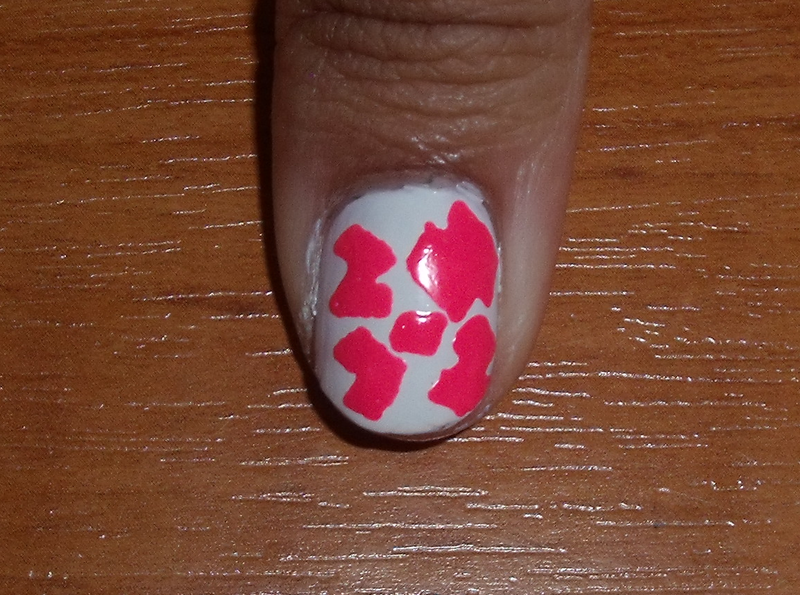 For this nail art design I decided to combine a little patriotism with the different Olympic events! 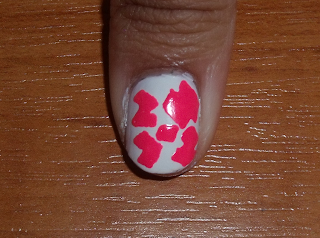 Can you guess what event each nail represents? 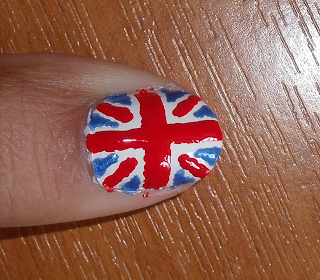 Thumb: The Union Jack - Go Team GB! 3) Paint in the blue triangular areas! 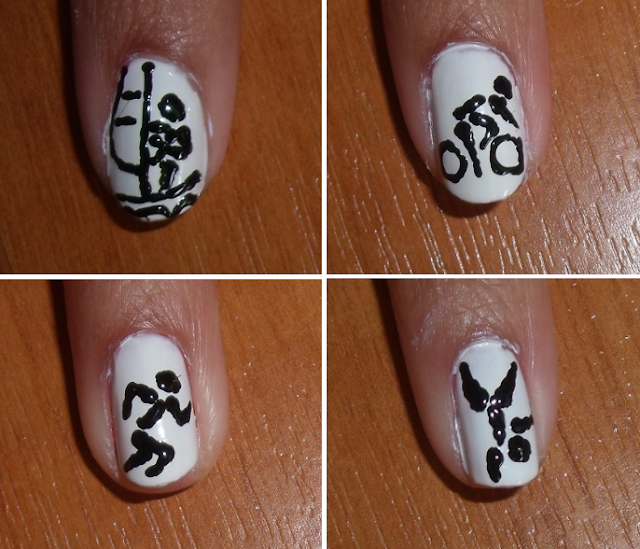 From top left to bottom right: Sailing, Cycling, Sprinting and Gymnastics! For each event I decided to paint on stick athletes as they were nice and simple to draw on. For each nail, paint on a white base coat then once this has dried, paint on the stick athletes in black! 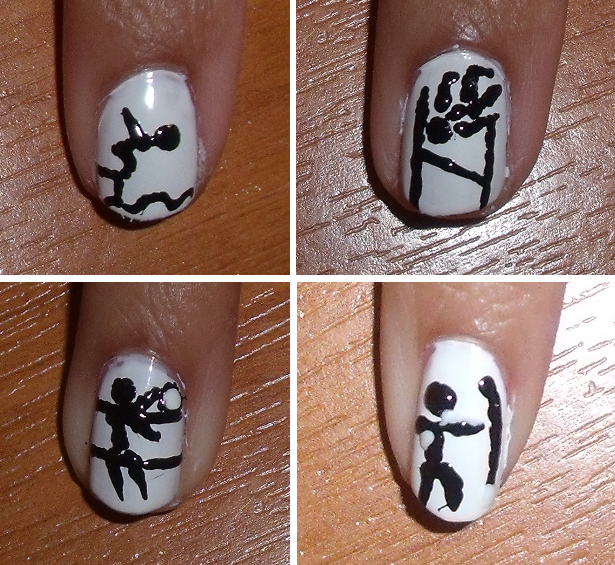 From top left to bottom right: Diving, High Jump, Volleyball and Archery! What do you guys think? Do you have any Olympic-themed nails on at the moment?